Web Design has always been one of those things that just costs over the odds. This is why BespokeSITE have made a solution to everyone, no matter what you use the website for! With experience of building and designing many websites for many different people and businesses we are proud to be recommended with many of our reviews! BespokeSITE offer many different payment options for those who feel the expense, or even just feel the risk. You can even pay half now, and the rest when you feel that your website has become a success to your business. NO CREDIT CHECKS. Too many web designers are offering responsive websites as an extra addon. Our websites are Mobile Responsive, and SEO Friendly at NO EXTRA COST! 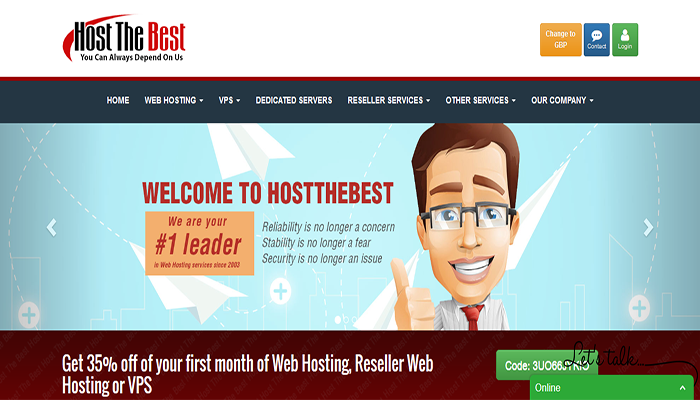 Full Mobile Responsive and SEO Friendly for selling services online. 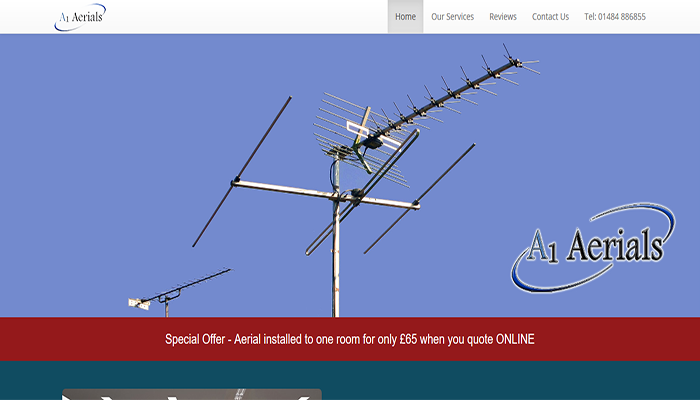 Full Mobile Responsive and SEO Friendly for advertising Aerial Installation Services online. 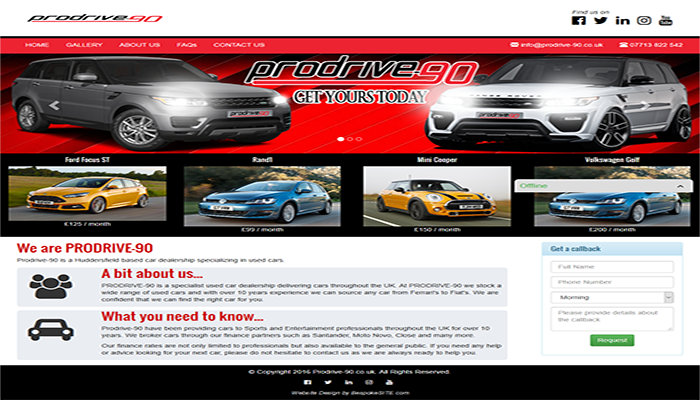 Full Mobile Responsive and SEO Friendly for advertising Car Dealership online.